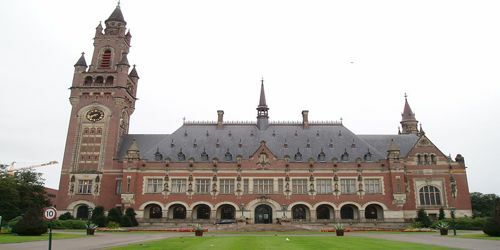 The International Court of Justice (ICJ) regulates disputes concerning human issues that are not related to just one country (humanitarian law and war crimes) as well as international disputes about things like borders and pollution. 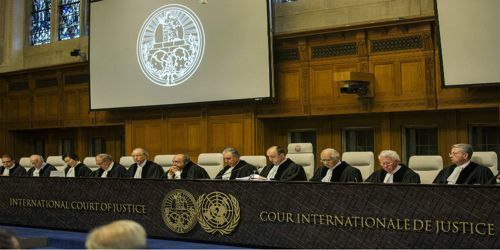 In contentious cases (adversarial proceedings seeking to settle a dispute), the ICJ produces a binding ruling between states that agree to submit to the ruling of the court. Only states may be parties in contentious cases. 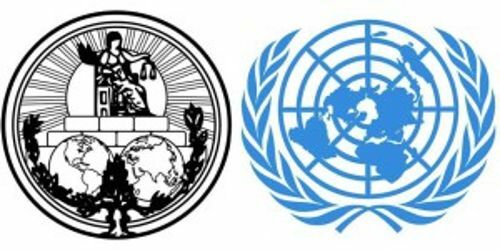 Individuals, corporations, parts of a federal state, NGOs, UN organs and self-determination groups are excluded from direct participation in cases although the Court may receive information from public international organizations. A complaint by the Republic of Macedonia (former Yugoslav Republic of Macedonia) that Greece is, by vetoing its accession to NATO, in violation of the Interim Accord of 13 September 1995 between the two countries. The complaint was decided in favor of Macedonia on 5 December 2011. A complaint by the Democratic Republic of the Congo that the DRC’s sovereignty had been violated by Uganda and that DRC had lost billions of dollars worth of resources, was decided in favor of the DRC.